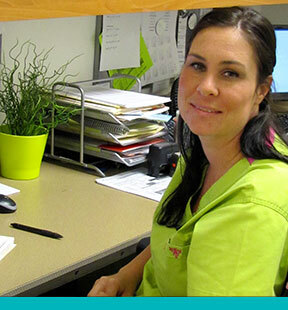 We pride ourselves on a professional office staff, part of the team that provides you with personalized care. Our nursing staff handles patient preparation, routine measurements and tests, and immunizations. They also make arrangements for physician-ordered tests and procedures. Our administrative staff is responsible for billing and insurance matters. Jennifer Sands comes to Lone Tree Pediatrics with 11 years of pediatric experience! Jennifer is a Colorado native married to Chad who is also a native of Colorado. They have four children ages 14 to 2. When Jennifer isn’t just hanging out with the family she enjoys running. Her family gets to enjoy her interest in baking. Jennifer graduated from Eaglecrest High School and continued her education at Cambridge College.